Frozen Fever swept over my house a long time ago but with a Frozen 2 in the making, it's looking far from over! As much as I would love to 'Let it Go' already, my girls have other plans. My 8 year old Lily loves Frozen, she has all the dressing up clothes, the hair accessories, the makeup sets and so on. If it's got Frozen on it, she wants it! 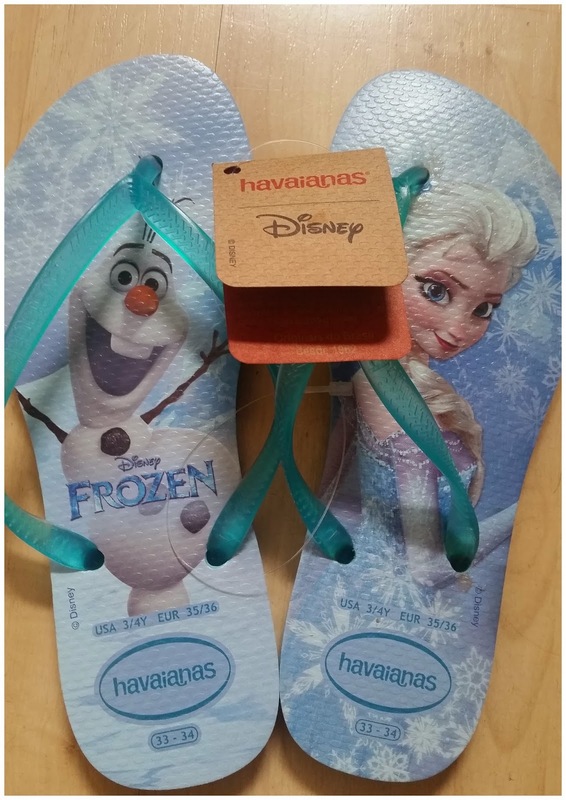 When Lily first saw these new Frozen Flip-Flops from Havaianas she was mega excited to say the least. She had them on before I'd even had time to cut the labels off. They're available in two designs, one featuring the sisters Queen Elsa and Princess Anna and one featuring everyone’s favourite snowman Olaf along with Queen Elsa. Lily's got the Olaf and Elsa Ice blue ones and she loves them. With Summer well on it's way and the lovely warmer weather we're having at the moment, these have arrived just in time. The Havaianas Frozen Flip-Flops are comfortable to wear and look great as they're very pretty. I'm sure they're going to be a huge hit with Frozen fans this Summer. Disclosure: We received a sample in return for an honest review.